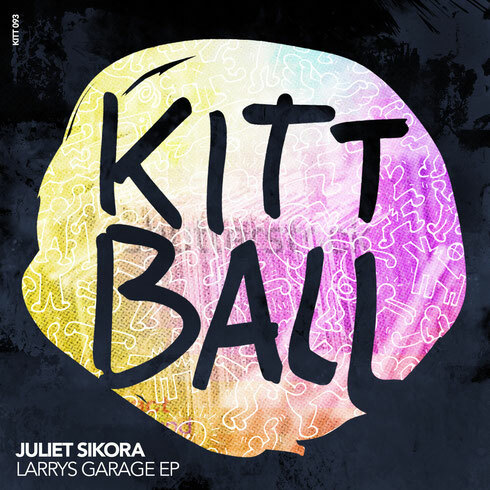 Kittball’s Juliet Sikora drops her debut solo EP ‘Larrys Garage’ on Kittball next week. Celebrating 10 years, Tube & Berger’s Kittball imprint can reflect on some big releases with all of its artists commanding a constant ubiquity in the Beatport charts. The label’s success is largely responsible to Juliet Sikora, who pours her heart and soul into the imprint on a daily basis - both behind the scenes and as a producer. She has found success doing the latter, with her ‘Come On Now (Set It Off)’ collaboration alongside Tube & Berger topping Beatport last year, as well as a slew of hits working with Chemical Surf, Wild Culture, Ante Perry and Paji. Homage to Larry Levan and Paradise Garage, ‘Larrys Garage’ grooves with funky chords and a deep bassline, overlaid with samples of a preaching female voice and a cheering crowd - a teaser for the upcoming summer and festival season. The second part of the EP, ‘Tender Trip’ is a nod to the underground sound of the ‘90s rave with a more classic bass and acid-tinged loops. 2015 will see Juliet Sikora drop remixes of Lane 8, Notize & Fura with further collaborations alongside Nakadia, Lars Moston and Tube & Berger when not joining the rest of the Kittball crew at their summertime residency in Croatia plus many European festival dates.